picked up his first guitar, a Fender Stratocaster at the age of 12. After 4 years of performing steadily with the band StilRock, College ensued at UWMC and UW Eau Claire. With new College friend John Fisher , Heros, a local cover band was born. After 3 years of night clubs in the mid west and college classes during the day, it was soon again High School friends and bandmates Dave Saindon and Mitch Viegut started Airkraft along with Grammy Nominee Peter Phippen and Dave Roll. From 1981 to 1998 Airkraft recorded 4 Albums 6 singles and toured the USA. Initially Airkraft was distributed internationally be Relativity Records. Airkraft developed a cult international following with high review in Europe heavy wait magazines such a Kerrang! In 1990 Mitch penned the Theme song for FOX TV "Fire Rescue". In 1981 Mitch Viegut started Ark Records and Premiere Recording Studios and Big Snow Music publishing. For the next 20 years Mitch has produced over 200 records, including the band Airkraft. In 1990 Airkraft signed with CURB/ Capitol Records and CBS international. Somewhere and 85 Miles Per Hour, songs penned by Viegut received billboard top song picks and charted on over 100 stations in the United States, Japan and Europe. From 2002 through today Mitch has performed with Altenburgh Jazz and Johnny and the Motones. In 2013 The release of Johnny and the Motones 4th CD "Shake it" was co engineered and produced by Mitch Viegut charting on the national blues charts. The self penned song "Swimming Hole" receiving national play on hit shows as Blues Deluxe and many other stations internationally. In 2018 The Johnny and the Motones released their 5 CD entitled "Highway 51" co-produced and engineered by Mitch Viegut. The album featured Mitch Viegut. Two of the releases "Highway 51" and "Going to Carolina" topped out at #5 and #6 respectively on the America Rock Blues Charts. have been on Monday night football, featured on MTV and other productions. As a member of various real estate investment, Mitch Viegut has Purchased over 100 properties since 1991. 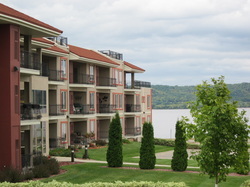 Since purchasing the Little Brown Jug Condos in 1995 we have specialized in condo distressed projects, the latest being the Bella Vista Condos - Lake City Mn, Northern Aire Resort Three Lakes. Specializing in Commercial Real estate and residential rental properties.